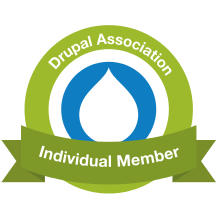 The Wednesday just gone was March's Oxford Drupal User Group. In a departure from our normal informal programme, we asked representatives from three Oxfordshire agencies to form a panel, and chat about their processes: generally, but also with a Drupal slant. Agile Collective, Torchbox and White October all sent people along to answer questions. I offered to chair, seeding discussion with a few questions, and then managing questions from other attendees. Alongside the general notes for the evening, put together as usual by Finn and other volunteers, Maria and I also assembled a comparative spreadsheet of what each agency does or recommends (or disrecommends!) The points of agreement are as interesting as the points of disagreement, and we were also able to have some brief discussions among attendees to augment the spreadsheet. There's nothing in itself special about the speakers—lovely though they and their companies are—but clear comparisons across them help provide others with business cases and other ammunition for doing things, if not the right way, then one or other good way. March saw OxDUG's record attendance—close to 40 people in the end—which meant we had a lot of new people. And what's great is that, while starting off as a group of commercially employed web developers, OxDUG now has substantial attendance from the university. This helps, and is helped by, the fact that the meetings are non-commercial round table affairs, meaning the group can be trusted to provide friendly, disinterested advice to all comers. I hope everyone who came along on Wednesday found it welcoming too!